Home » Sleep » How Long Can You Go Without Sleep? How long do you think you can do without sleeping? Many people wonder how long humans can go without sleep! Just like food, water and shelter humans need sleep! It lets us refresh our bodies and minds and wake up prepared for the next day. The current world record for staying awake is held by Randy Gardner. In 1965 Randy set the world record for the amount of time without sleeping by staying awake for 264 hours, our about 11 days, during a school science fair. Since 1965 there have been other more scientific studies that have lasted between 8 and 10 days. In each sleep deprivation case subjects experienced a severe decline in mental and physical abilities. Fortunately, these problems disappeared after a few normal nights of sleep without any documented long term health effects. Is it possible to die from sleep deprivation? Due to the lack of research into this dangerous topic it is hard to know what happens if we never sleep. It is possible for humans to die from a rare genetic disorder called Fatal familial insomnia (FFI). FFI can lead to death after about 6 months of no sleep in combination with other organ failures. The most well known case of Fatal familial insomnia is Michael Corke. Michael Corke experienced 6 months of sleep deprivation in addition to other medical problems before passing away from the infectious prion disease. Another rare medical condition called Morvans fibrillary chorea (Morvans Syndrome) can cause sleep deprivation for months with seemingly few side effects. The most well documented case of Morvans is from Lyon, France. Doctors there treated a 27 year old man who did not sleep few several months. During this time he experienced no cognitive disorders, mental problems or impairments except nightly hallucinations! One of the most noticeable declines when not sleeping is in Cognitive functions. Randy Gardner experienced a significant decline in cognitive functions during the final days of his world record attempt in 1965. In fact, Randy may have been considered “awake” during the final few hours since his eyes were open but he was not cognitively functional! It is no secret that not sleeping will turn you into a grouch! Staying up all night, night terrors or chronic insomnia can turn even the nicest person into a real Grinch. Missing one night of sleep should not cause mental problems. After two or three days of missing sleep delusions, paranoia and psychosis will begin to set in and cognitive functions will decline. Fortunately, these seem to pass after a few days of regular rest. In most cases recovering from sleep deprivation is as easy as getting some rest in a comfortable bed! I like to use a sleep mask, pull my shades closed and slide in earplugs to make sure I can recover after a few nights of insomnia! Scientists have conducted many sleep studies on lab animals like rats and mice. Scientists at the University of Chicago designed an experiment that pushed rats into water when a computer detected they were sleeping. The rats were able to stay awake for about two weeks before death from whole body hypermetabolism. The effects of sleep deprivation are more extreme as time passes. 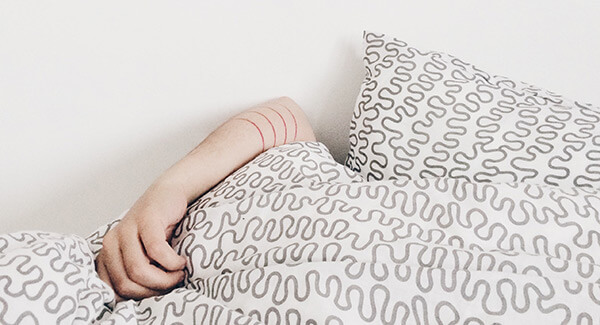 Most people know what it feels like to miss a night of sleep and how it can affect the human body but do not realize the cognitive decline that happens after missing multiple nights in a row! After just 24 hours of sleep deprivation you will begin to experience cognitive and motor impairments similar to having a BAC of .1! You may be able to function on “autopilot” but will not be anything like your normal self! Staying up all night to study for a big exam may seem like a good idea until you get to the test the next day! Missing even one night of sleep can cause a decline in hand eye coordination as well as problems in judgement, memory and decision making! After 36 hours of sleep deprivation your body starts to be negatively affected. Your blood pressure will begin to spike, focus will become cloudy and core muscle groups may begin to feel “slower” than normal. Some people have reported sleep walking through their day. They also can’t seem to remember specific details or bits of information from earlier. At the 48 hour mark the body starts to experience regular bouts of micro-sleep. Micro-sleep is when the body shuts down for a short amount of time, before regaining consciousness. You might not even be aware micro-sleep episodes are occurring during this time! After 72 hours of sleep deprivation your body will start to experience a severe decline in function and may begin hallucinating, feeling delusional or beccomatose! It becomes almost impossible to focus on basic tasks and basic conversations become much more difficult. Your cognitive functions will be at an all time low and perception of reality can become warped! Can you die from sleep deprivation? It is technically possible to die from sleep deprivation in rare medical cases FFI or Morvans. However, most deaths attributed to lack of sleep involve other factors like automobile accidents or poor judgement from cognitive decline! If you have not slept in a few days do not drive a car or operate machinery! Hallucinations from sleep deprivation typically start around 72 hours. At first they may feel like “drifting off” but after a few days they will become much more severe like the case of Randy Gardner. How long can you stay awake on Meth? Methamphetamine and other drugs make it possible to stay awake for multiple days at a time. Of course, this is not healthy and leads to long term mental health problems. Marie Seska is one of the most trusted sources on the net for sleep information. She searches the web - as well as the latest medical journals to bring her readers the latest news and information. How Much Sleep Do College Students Need? Tired of waking up every morning feeling tired and unable to get out of bed? 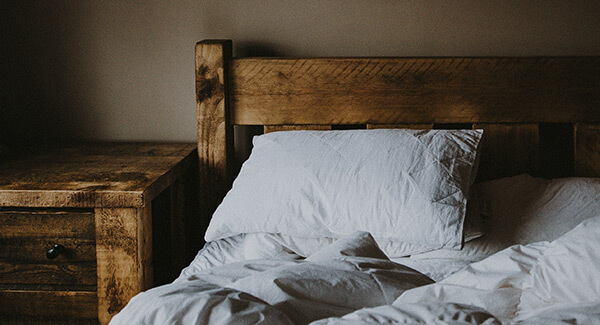 Learn how sleep disorders, sleep aids, your mattress and other problems can impact your nightly rest!